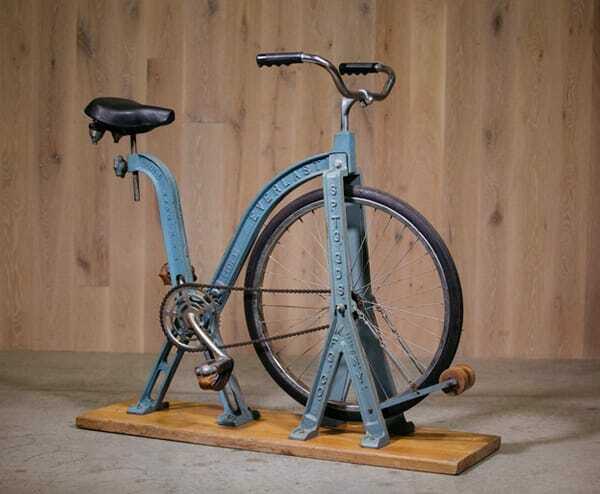 Pedal your way to a fitter figure with a fully functional vintage Everlast stationary bicycle. 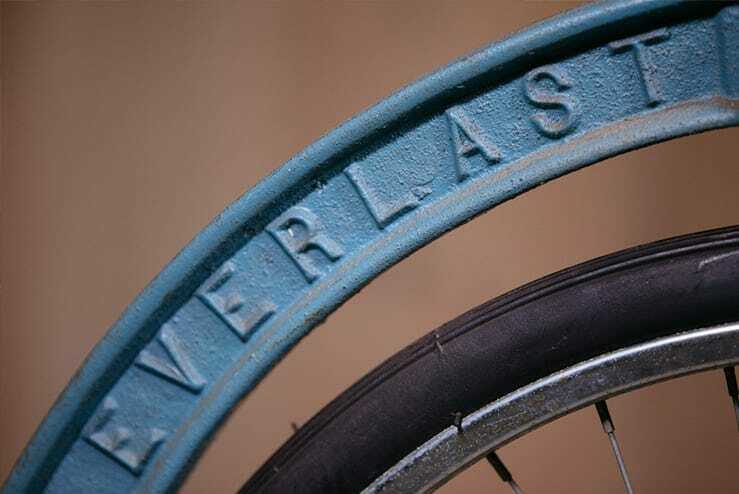 Cast iron frame with raised manufacturer’s mark that reads “Everlast Sptg. Gds, Mfg. NY”. 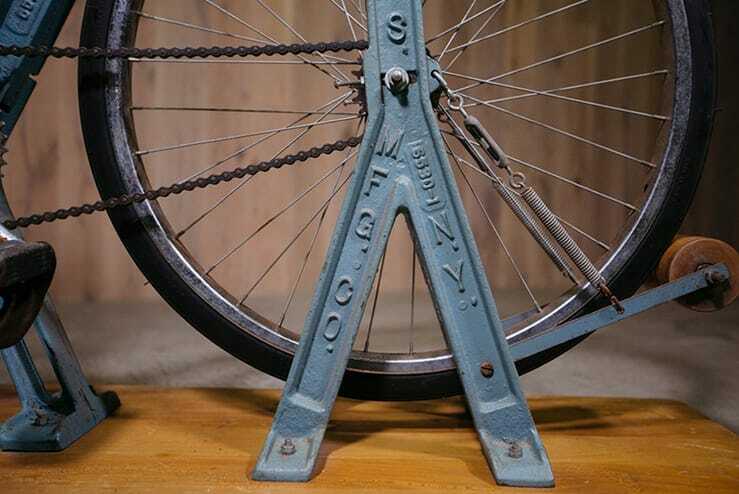 Attached to a wooden base. Circa 1920-30.